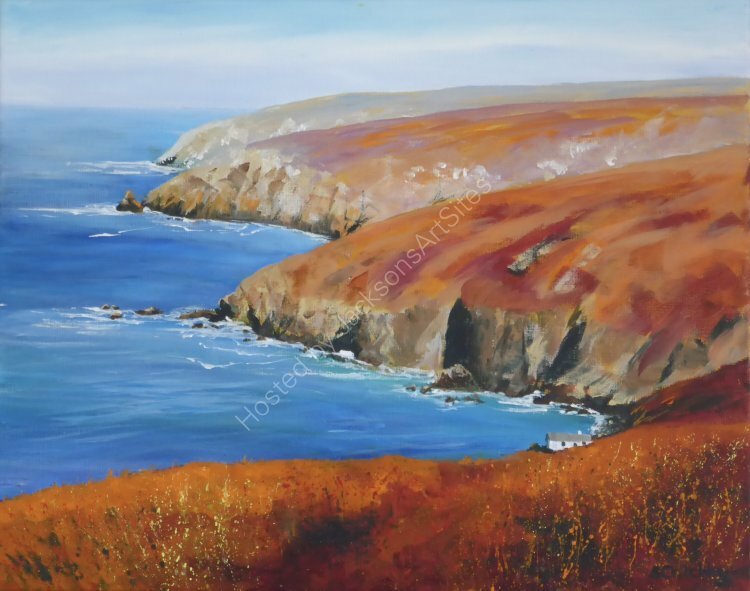 It was a hot day walking over Gurnards Head, which is near Zennor on the North coast of West Cornwall. The cliffs are huge and one gets a sense of scale from the lonely cliff side cottage seen as one looks to the north. Lonely and spectacular, a very dramatic landscape that always inspires a sense of awe. An original painting in acrylic on a stretched canvas, ready to hand or frame in a frame of your choice. Overall size 50x40 cms.